Wonderful. Everyone loves this personalized calendar! 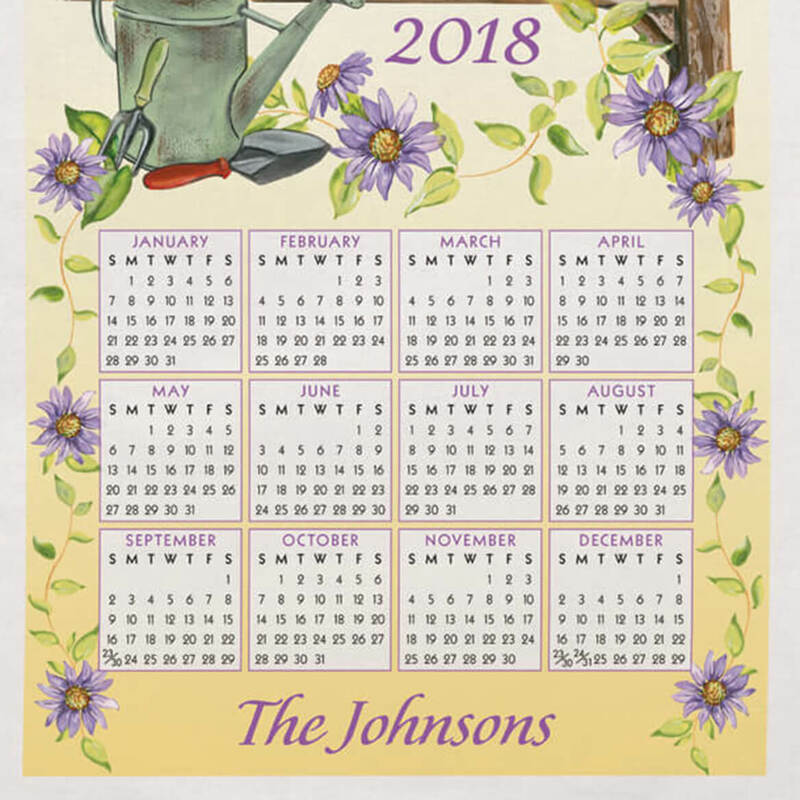 I have been giving these personalized calendars to family and friend since 1968! They have become a Christmas tradition. Everyone loves them and looks forward every year to receiving one. Unique design. 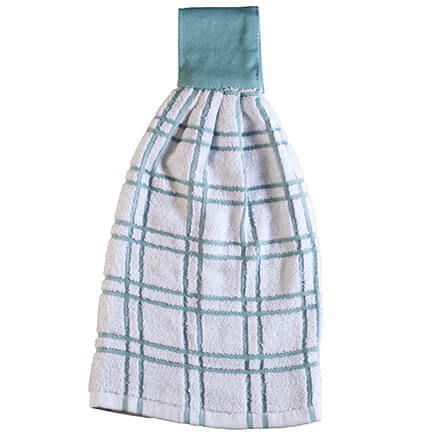 So often the calendar towels repeat the designs of prior years and it is difficult to find one that you have never had. I purchase these each year for a older family member as a gift. They love getting them and I hope that your company will continue to come out with new styles each year. This person always puts them up in her kitchen as soon as it turns to the new year. 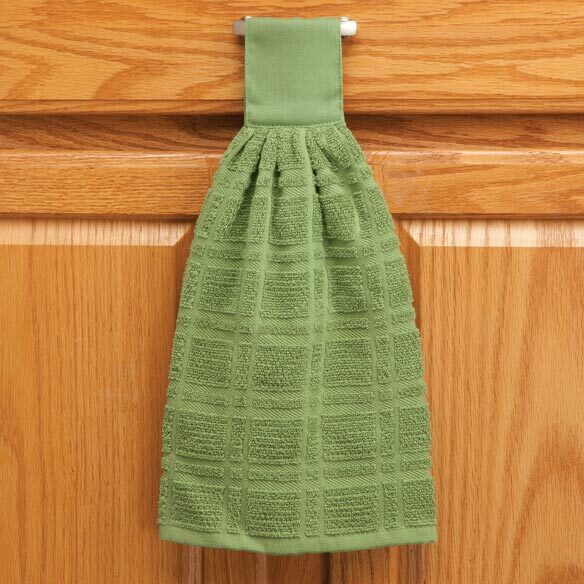 Always hang these towel calendars in the kitchen. And amazingly, colors match the color of this calendar! I like this calendar because all the months are on one page. The fabric makes it unusual, these are hard to find. I use it to cover my electrical panel box in the hall, it fits perfect! 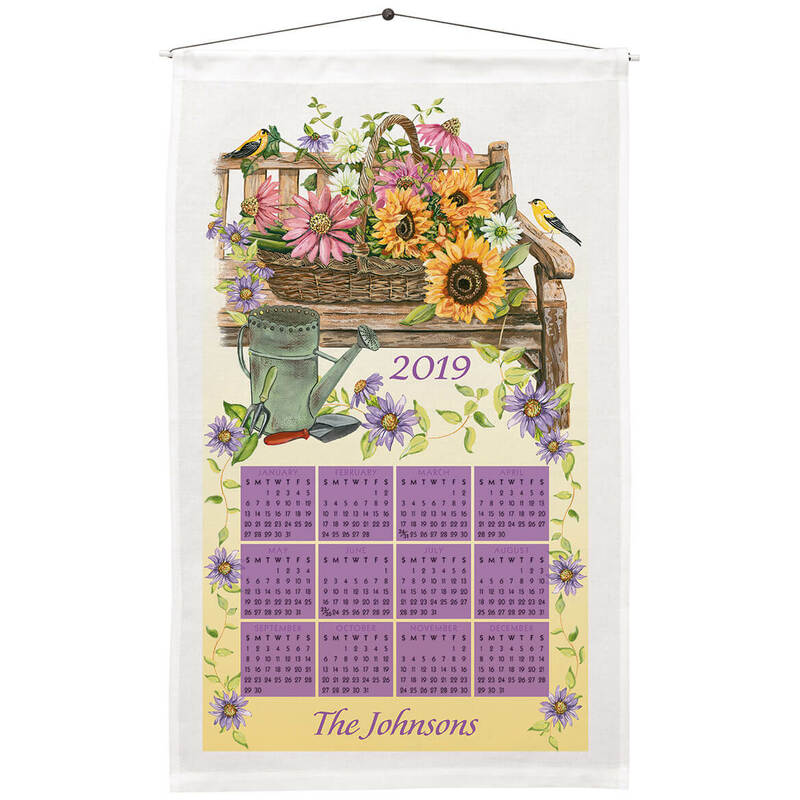 Lovely design!I buy a cloth calendar every year to hang on pantry door.Best part is, they make great dish towels or whatever you might need a cloth for after the year is over.Easy wash and dry over and over-last forever! Have bought a linen calendar practically every year of marriage (42 yrs. Enjoy picking out the scenery that matches both my kitchen and my preferences in any given year - bird decor now for past many years. Hang it on my pantry door where I can see it from my kitchen as well as the main hallway. Have saved every one of them!! I order these wall calendar towels every year. Sometimes the print is at an angle which makes it look cheap. This year it looks nice. Hopefully they have corrected the problem. I order the personalized towel calendars every year for Christmas gifts to friends. They are gifts that can be used the year around and blend in well with most room colors. At the end of the year, the calendars can be washed and used as towels, if desired. I have bought one of these every year for many years, and hang it in my kitchen. The design is not centered on the towel. How hard could that be? It is an attractive item but we were disappointed that it was "defective" in our opinion. Absolutely beautiful! Sunflowers always make me feel warm and happy. Same order every year with new personalizing! 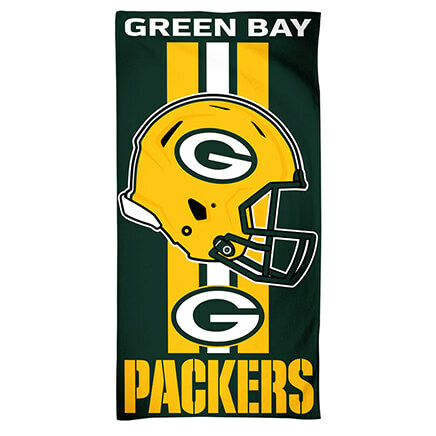 Love this towel! I ordered your beautiful floral calendar and loved it! Seeing the full year with some beauty is my favorite. If you have to have an office with pens, paper etc, add flowers, planters, paintings to help it feel warm and beautiful. Have collected linen calendars for 30 years. It's been a family tradition to hang a calendar towel in our kitchen for 40 years! I love that MK sells this product so that I can carry on the tradition. A funny present for a couple with two different last names. This is able to feature the combo name they use for email. My mother loves these calendars, it's a tradition. I am honoring a tradition in my mother's memory of displaying these wonderful calendar towels each year. Our family enjoyed choosing scenes that were close to our hearts. I love that I use it as a calendar and then as a kitchen towel for years to come. 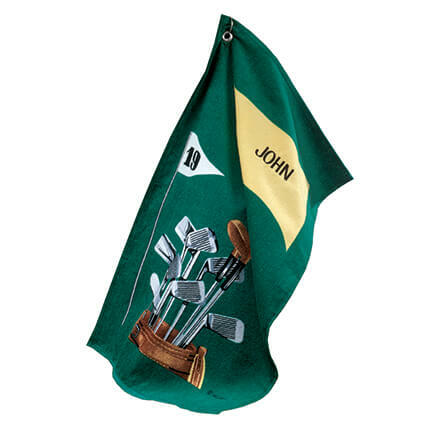 towel every year, but Miles Kimball is the only place to personalize them! I liked the design. i thought this would look nice in my kitchen. Get one for my mother EVERY year. Have done so for over 30 years. You are one of the only places I can still get. My mother-in-law used to give these to relatives each Christmas. She's been gone for a long time now and I think her cousin will be enjoy receiving one once again after so many years. Your site allowed me to personalize the calendar. This is 4 my kitchen. Our house is full of sunflower-themed decor. It appears to be colorful, easy to read and pleasing to the eye. Hopefully it will seem the same when it arrives. Have enjoyed these over the years. Can't wait to get it.. Needed a long, colorful, calendar to hang on an unfinished kitchen wall. I hang it in the kitchen for decorative purpose and to keep aware on every day in my life. As a Christmas present for my neighbor. 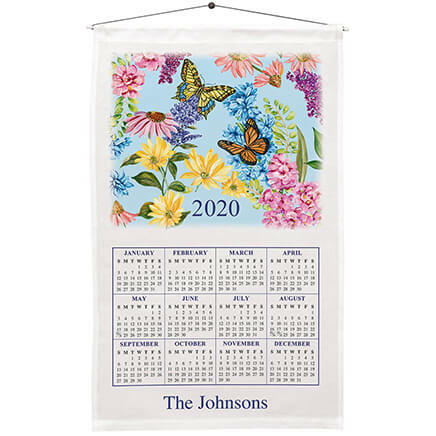 These calendar towels are excellent towels and beautiful calendars. My mother-in-law bought them for us every year and now that she has passed, I've started buying them. love to give and get personalized items. It looks like something my mom can use for years. I will buy it for her every year if she likes it. Tradition. We have calendar towels for every New Year for the last 50 years. Can I preorder a calendar for next year? Shop for Christmas year round. BEST ANSWER: Thank you for your question. Our calendars will be back in stock during the summer of 2017 and cannot be pre ordered. We hope this information will be of help to you. can i order a calendar towel without personalization? BEST ANSWER: Thank you for your question. If you do not want personalization, you can decline the personalization by selecting plain. We hope this information will be of help to you.